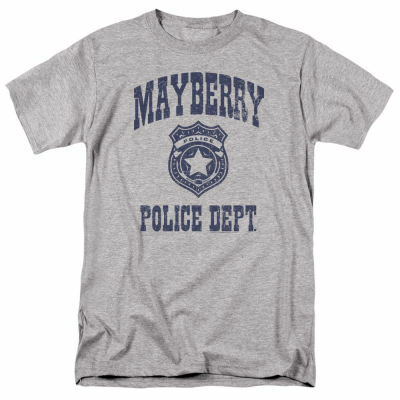 Have you ever wondered if the Mayberry County Sheriff's Department was the only law in the city of Mayberry, this t-shirt can help answer that question. The Mayberry Police Department t-shirt comes in two styles. Standard collar and Ringer. The artwork has a distressed look to give it an old feel.